The Christian cross, as the most widely associated symbol of Christianity worldwide, represents the instrument used in the crucifixion of Jesus. The crucifix itself is the actual three-dimensional representation of the body of Jesus Christ and functions as a reminder to Christians of God’s love through the sacrifice of his only son for all of humanity. As a symbol of atonement, Christian crosses represent Jesus conquering over sin and death, as it is believed that through death and subsequent resurrection he was the victor of death itself. For followers of the Christian faith, the cross also represents the intersection of God’s eternal love and His justice. Conversely, it is a symbol of suffering and defeat juxtaposed to triumph and salvation. After Jesus was executed more than 2000 years ago on the cross, it became a symbol for followers of him and the religion of Christianity. 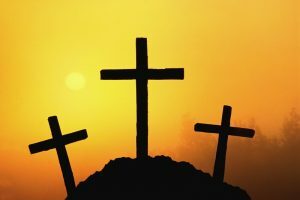 After the act of crucifixion was abolished as a form of punishment, the cross became closely associated as a symbol for Jesus as the Son of God. The cross-shaped sign, which predates the beginning of the Christian faith to the earliest periods of human civilization, is formed by two cross at right angles and was originally designed for its ornamental value as well as religious significance. In earlier times, it has been theorized that the cross represented the apparatus used in kindling fire and by association became a symbol of the sun. Additionally, it has been interpreted as representing lightning, gods of the tempest, and also ancient Aryan civilizations during primitive times. Blog submitted by Christian.Jewelry. Offering Christian jewelry in Silver and Gold, such as cross pendants, necklace, rings, earrings, bracelets and chains.